Elizabeth and James "Yera" blouse. For in-store inquiries, use sku #2373598. 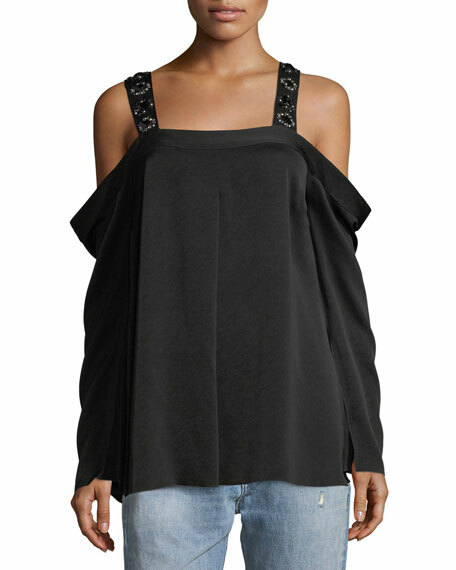 Akris punto kimono-style blouse featuring buttoned cold shoulder detail. Mini stand collar; hidden button front. Long sleeves. Inverted back pleat. Rounded hem. Cotton. Imported. 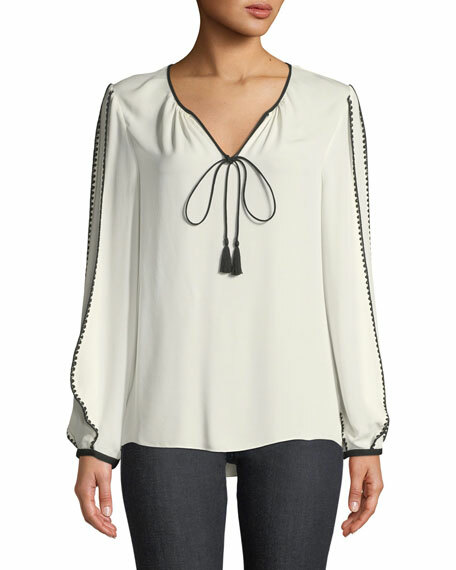 Elie Tahari "Ariel" blouse, featuring contrast embroidery detail. V neckline with tassel ties. Long sleeves; mini button cuffs. Easy, skimming fit. Inverted back pleat. Polyester. Imported. Elizabeth and James "Layla" woven blouse. Approx. length: 21"L down center back. 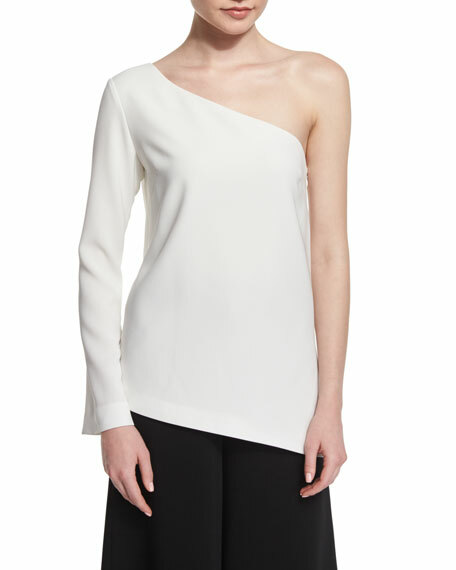 Asymmetric neckline. Long sleeve at right; sleeveless at left. Slim bias silhouette. Angled hem with slit. Pullover style. Triacetate/polyester. Lining, polyester. Dry clean. Imported.